I’ve had the travel bug all my life. Those of you who are infected know that it’s both a blessing and a curse. And when you strategically plan your schedule to have a three-day weekend, why not use it your advantage, right? Not to mention that only a couple of hours away lay an entire continent and a multitude of countries waiting to be explored. 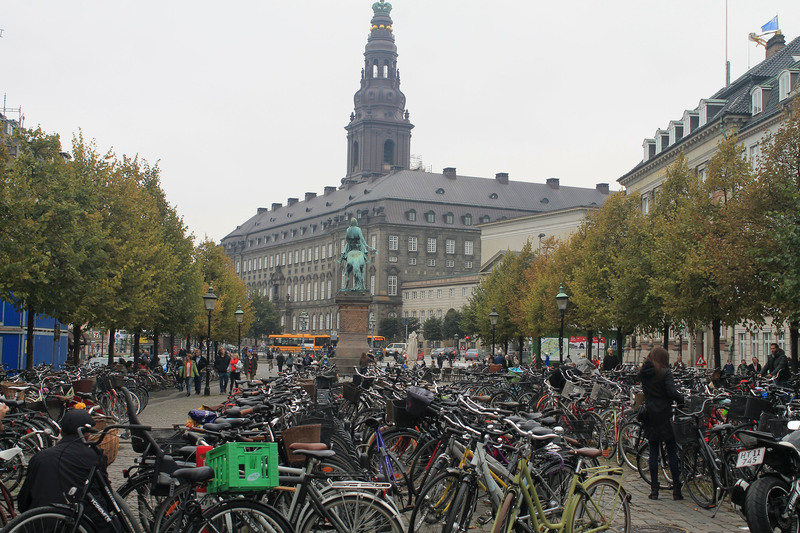 My first trip out of the country was to Copenhagen, Denmark. One of my best friends from high school in Brazil moved there to attend boarding school and then university. Seeing her after three years and for her 21st birthday was a blast, not to mention that I got a tour of the city by a quasi-local. 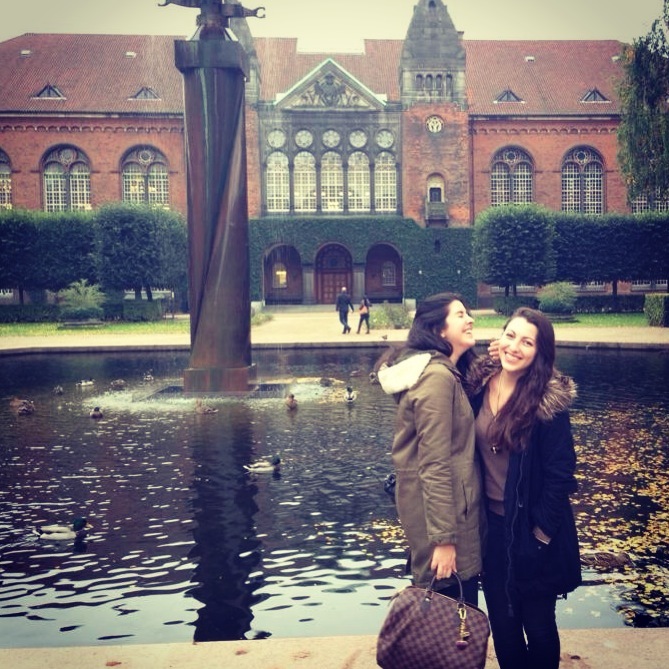 Hannah and me reunited in Copenhagen (via Instagram). 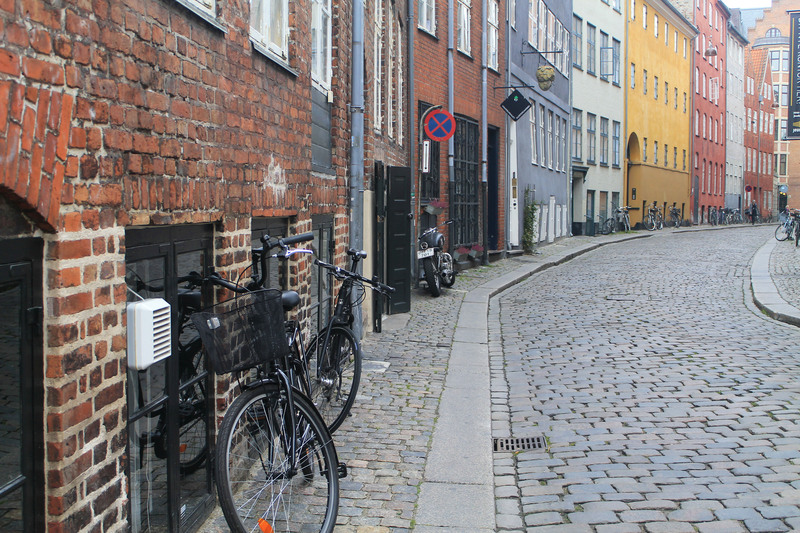 A small, quaint city, Copenhagen is modest yet charming. 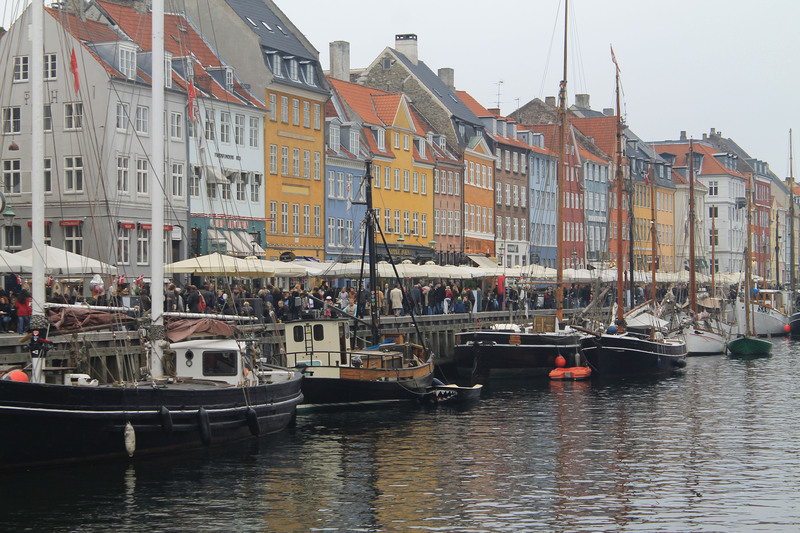 Multi-colored buildings and sailboat masts dot the quays as people enjoy a Carlsberg near the waterfront. 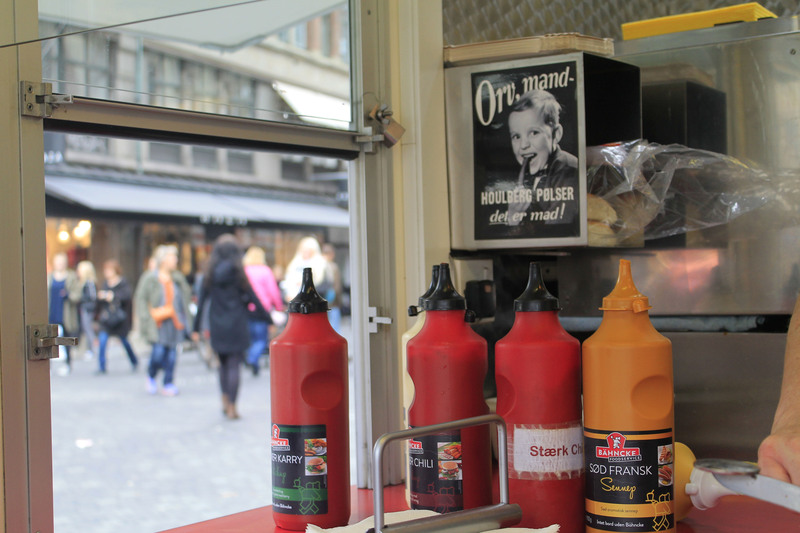 Hundreds of bicycles are parked near a popular shopping district as a line forms at a pølsevogn — a hot dog stand literally translating to “sausage wagon” —for lunchtime. 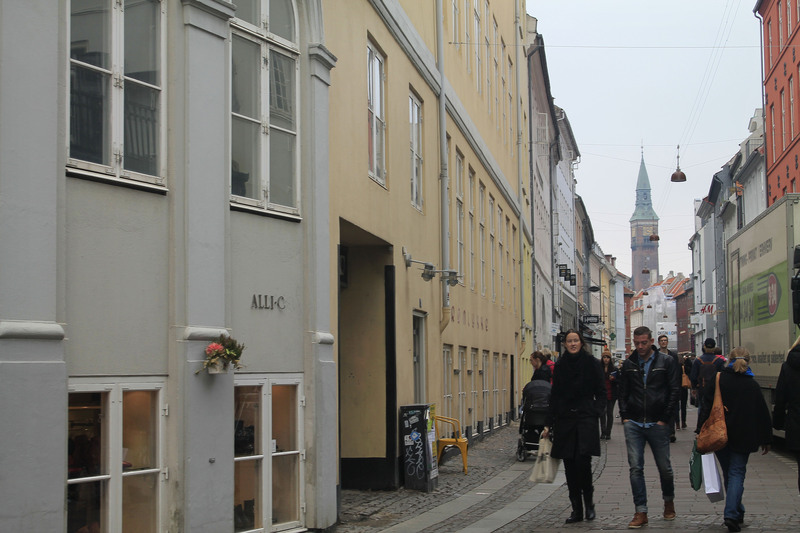 Just down the street is a row of cozy cafes, each with its own personality. 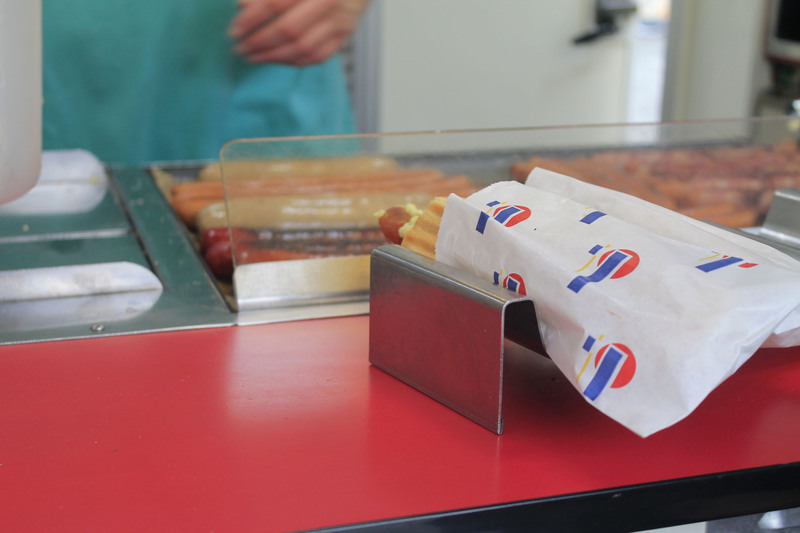 A Danish hotdog at a local pølsevogn. 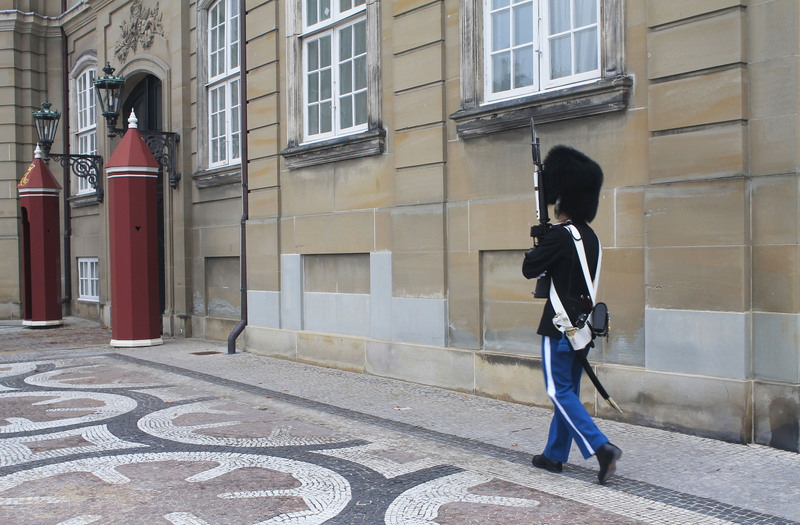 A guard at Amalienborg, the winter home of the Danish royal family. 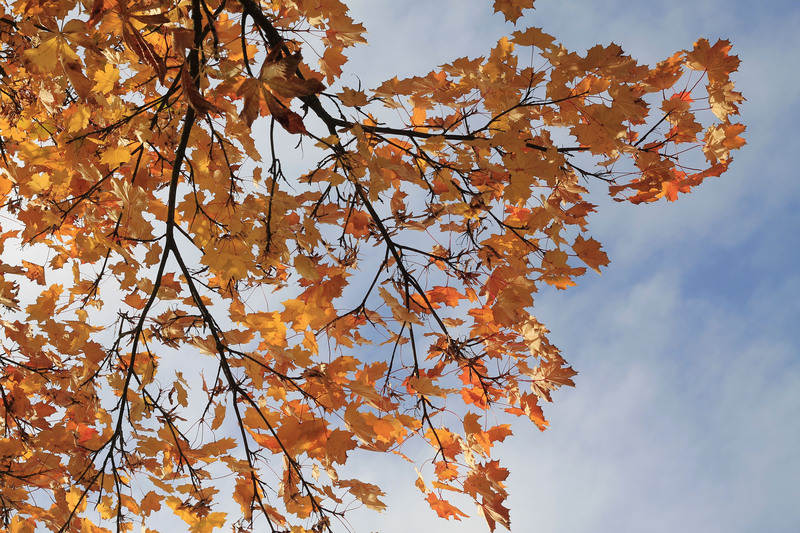 Fall leaves on a sunny day in a suburb outside Copenhagen. In a single afternoon you can pass by Tivoli Gardens — the second oldest amusement park in the world, which unfortunately I did not get a chance to go to —walk through the royal family’s palaces and roam around the cannabis-consuming autonomous neighborhood of Christiania — which sadly doesn’t allow photographs unless they’re pre-approved. Here’s an interesting article Vanity Fair wrote on the community and some photos the Guardian took. 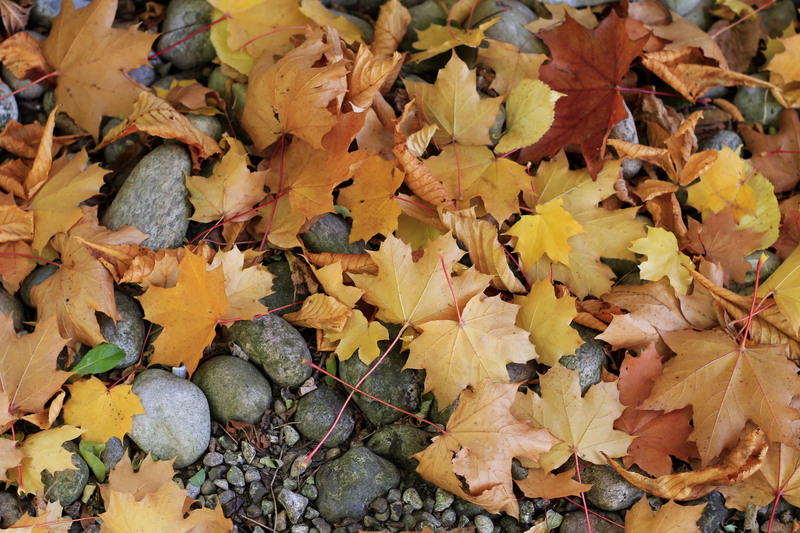 However, you don’t necessarily have to hop on a plane to leave the country. 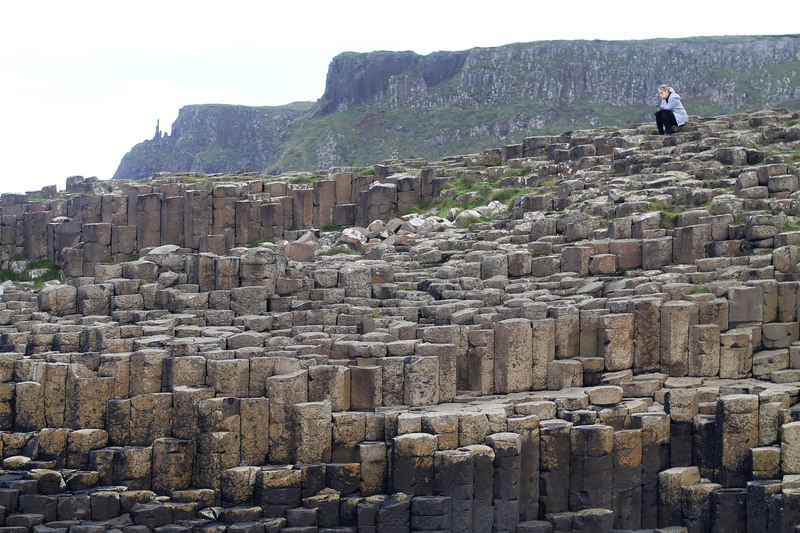 On Friday, my friends (here’s your shout out Maureen, Brian and George) and I decided to plan an impromptu trip to Northern Ireland. The next morning, we got on a bus at 7 a.m. and two hours later, groggily woke up across the border. Northern Ireland is a part of the UK, which means they use pounds for currency and words like “love” at the end of every sentence. 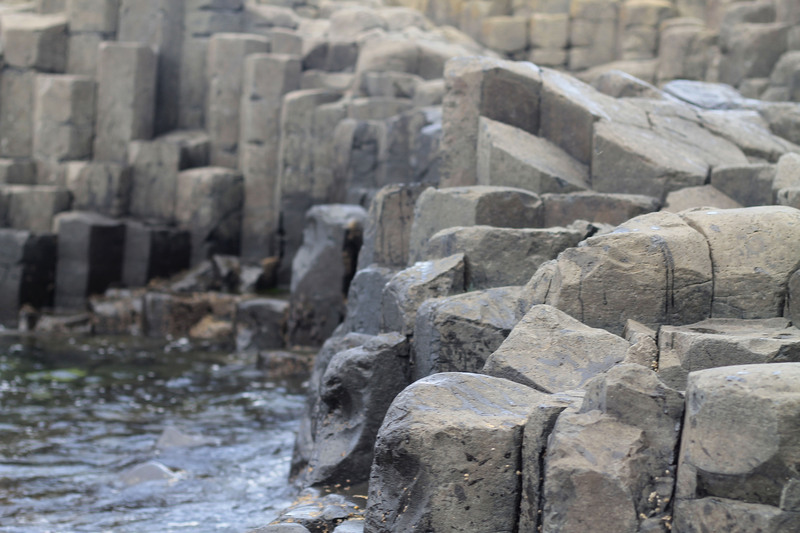 We took a day tour along the gorgeous Antrim Coast, ending at Giant’s Causeway, a World Heritage Site which Wikipedia explains as “an area of about 40,000 interlocking basalt columns, the result of an ancient volcanic eruption.” Or you can just see the photos for yourself. 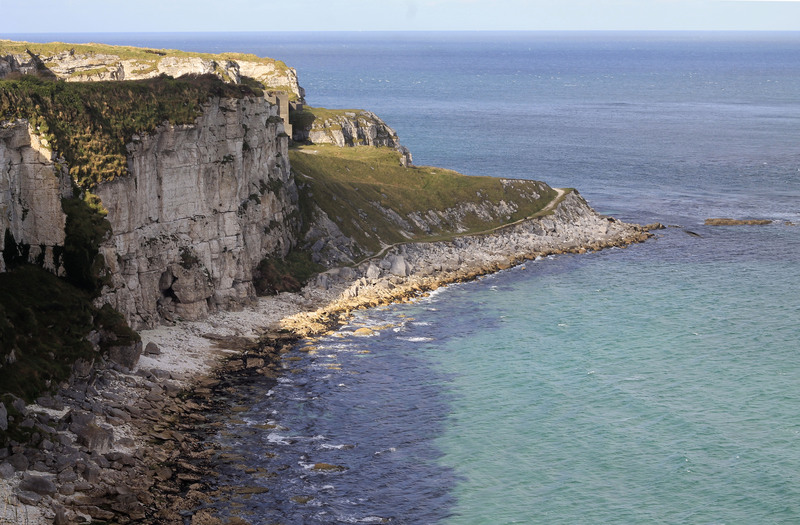 The Antrim Coast in northeast Ireland. 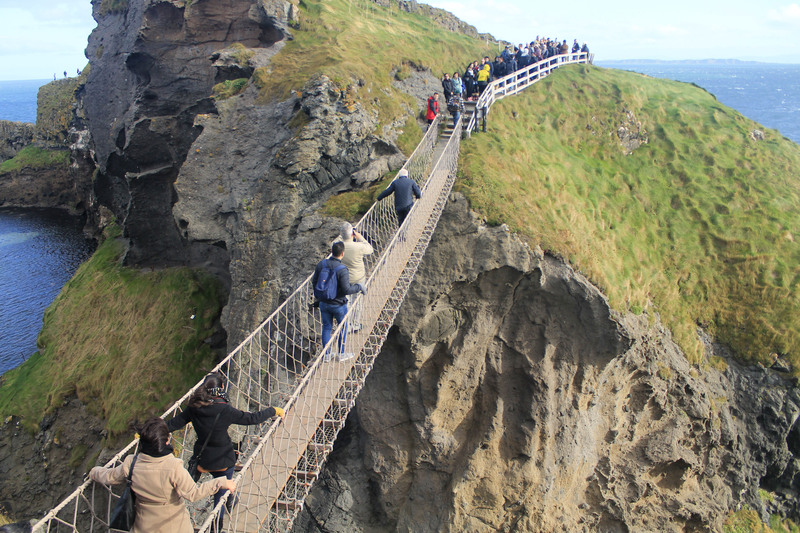 Carrick-A-Rede rope bridge, which is open depending on wind and weather conditions. 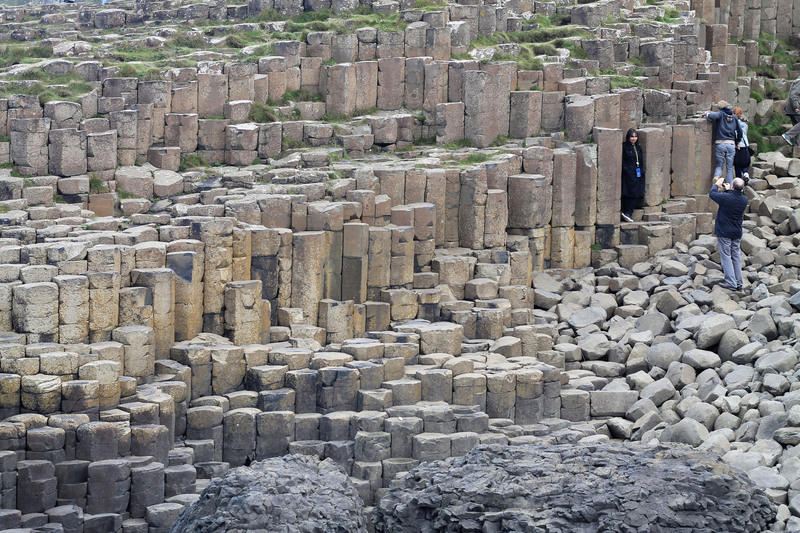 The pillars that comprise Giant’s Causeway. 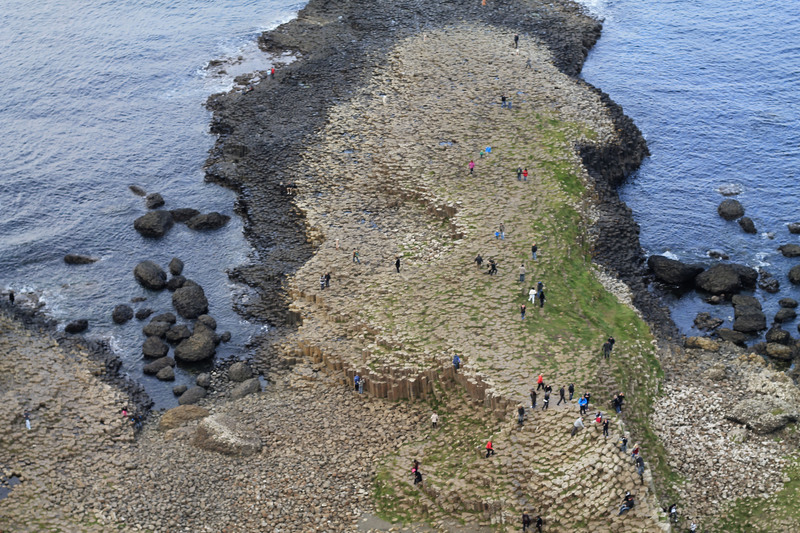 Bird’s eye view of Giant’s Causeway. 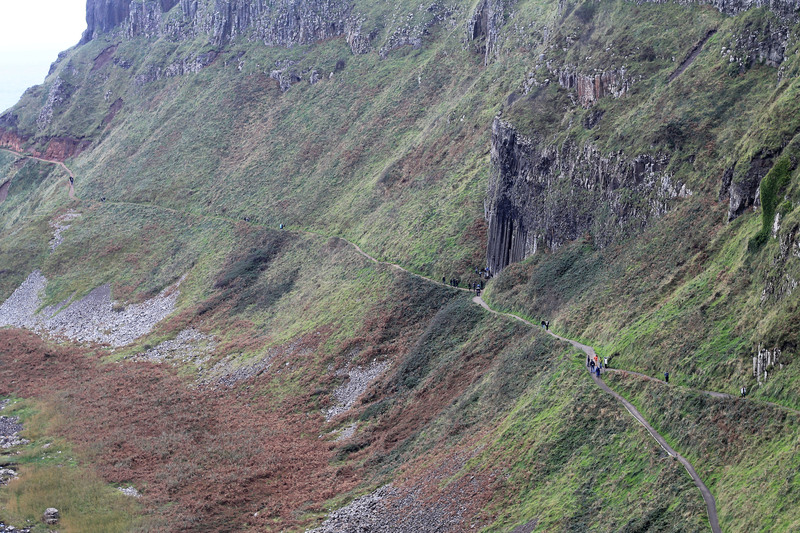 Pathway along the cliffs and hills on the Antrim Coast. After spending the night in Belfast, we ventured into the areas of conflict between Catholics and Protestants in the city, which is really just a fancy way of saying Irish Catholics who want Northern Ireland to be a part of Ireland and English Protestants who want Northern Ireland to remain a part of the UK. It was eye opening to see the separation between the two parts of the city, which still experience conflict today. 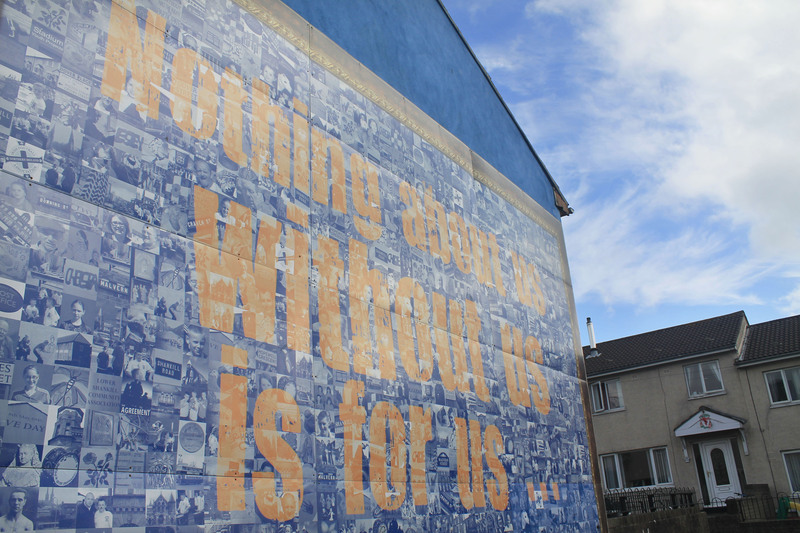 A mural in the Protestant district in Belfast. Catholics are not found in this part of town. 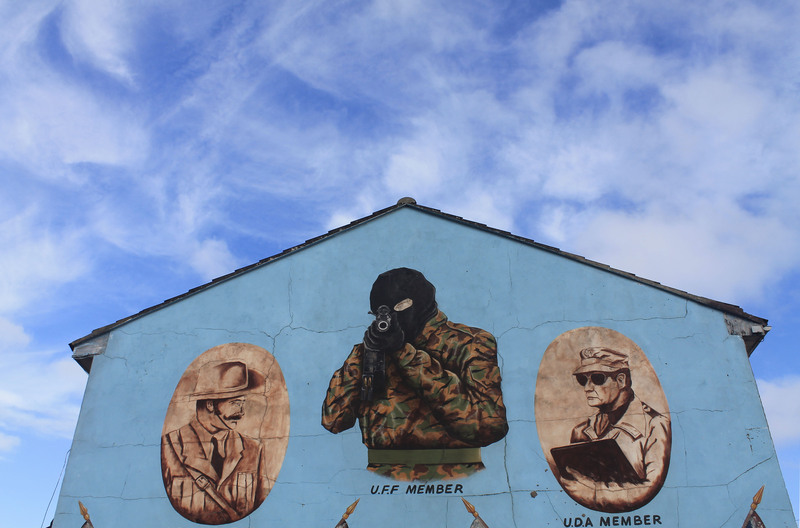 The rifle in this mural follows you at every viewing angle. 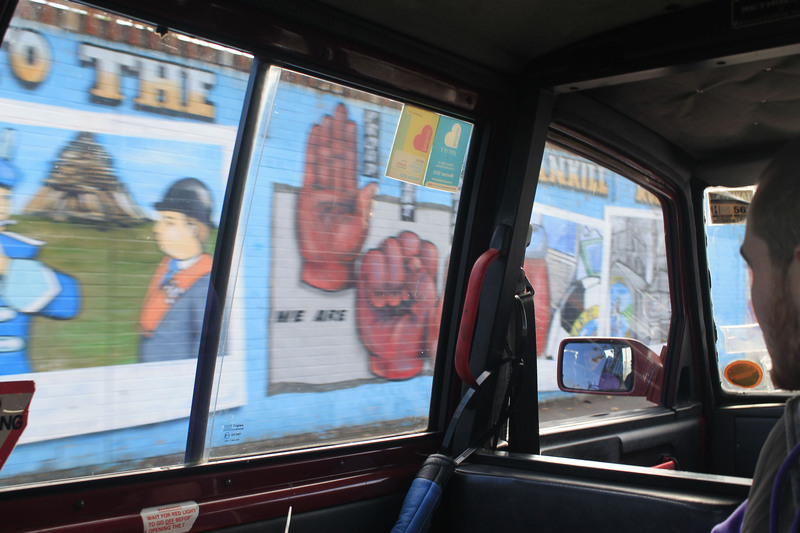 Driving by murals depicting justice movements around the world near the Catholic part of Belfast. 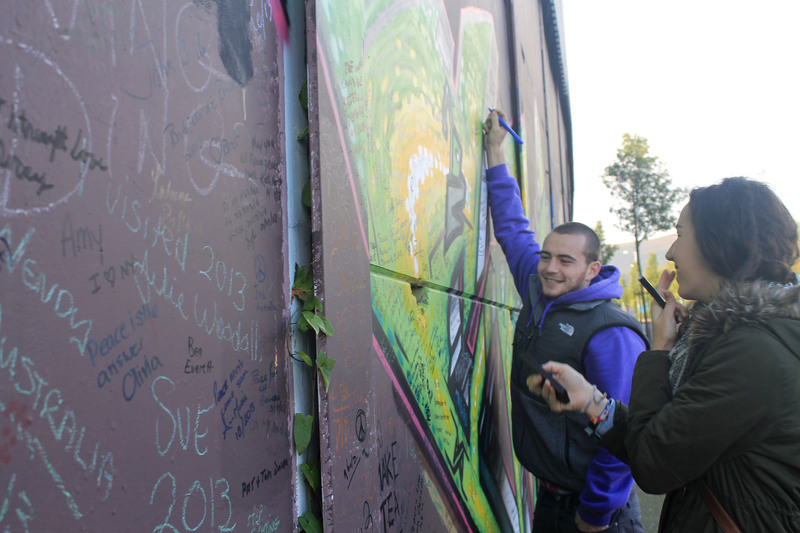 A “peace wall” has separated the two sides in Belfast since 1969. Visitors leave their mark on the wall with words of encouragement. 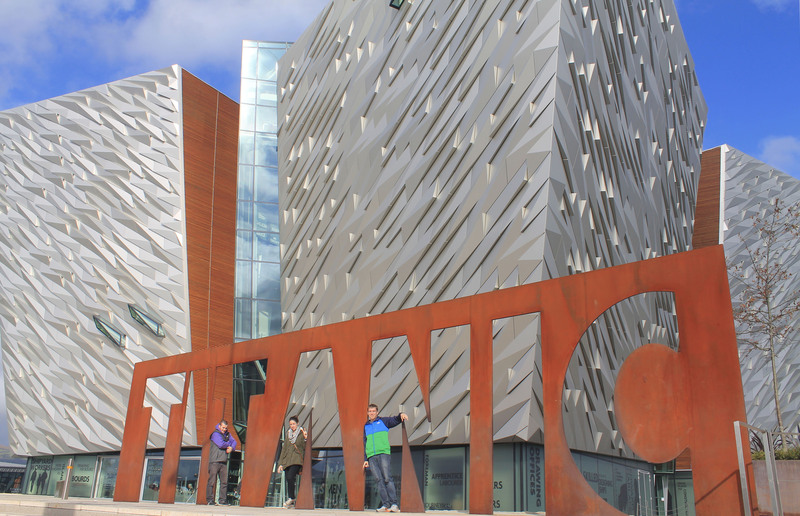 The last stop was the Titanic Belfast museum, newly opened for the 100th anniversary of the ship’s sinking last year. As interesting as it was, sadly Kate and Leo were nowhere to be found. The Titanic Belfast museum, opened in 2012, is modeled to look like a giant iceberg. My next stop abroad will be Paris in two weeks for the Pitchfork Paris Music Festival, and I already can’t wait. What? 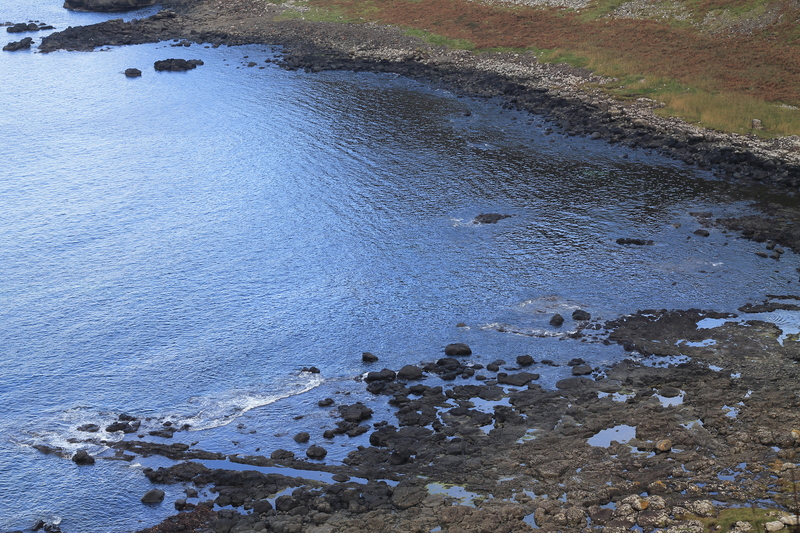 Staying in Dublin is overrated anyway.